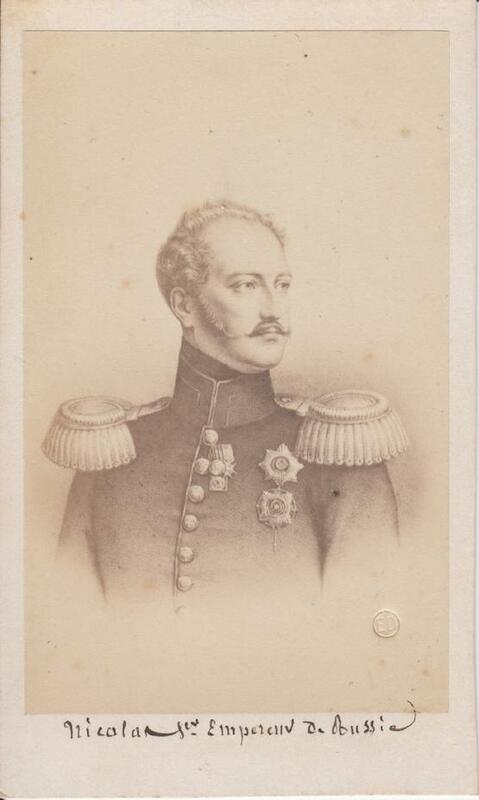 1860s CDV photo of Czar Nicholas I (Николай I Павлович, Nikolai I Pavlovich); 6 July 1796 – 2 March 1855 was the Emperor of Russia from 1825 until 1855. He was also the King of Poland and Grand Duke of Finland. 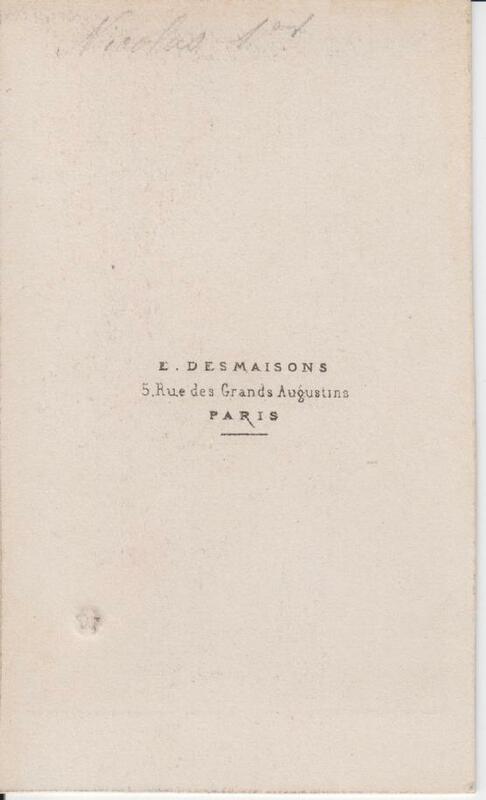 By photographer Desmaisons Paris.